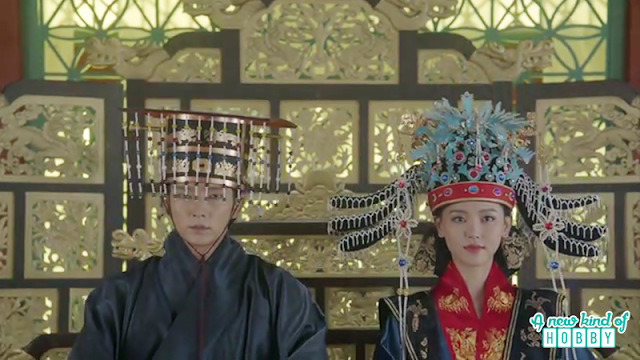 It wasn't a happy news for us as King Wang Soo married to princess Yeon Hwa of Hwangbo. 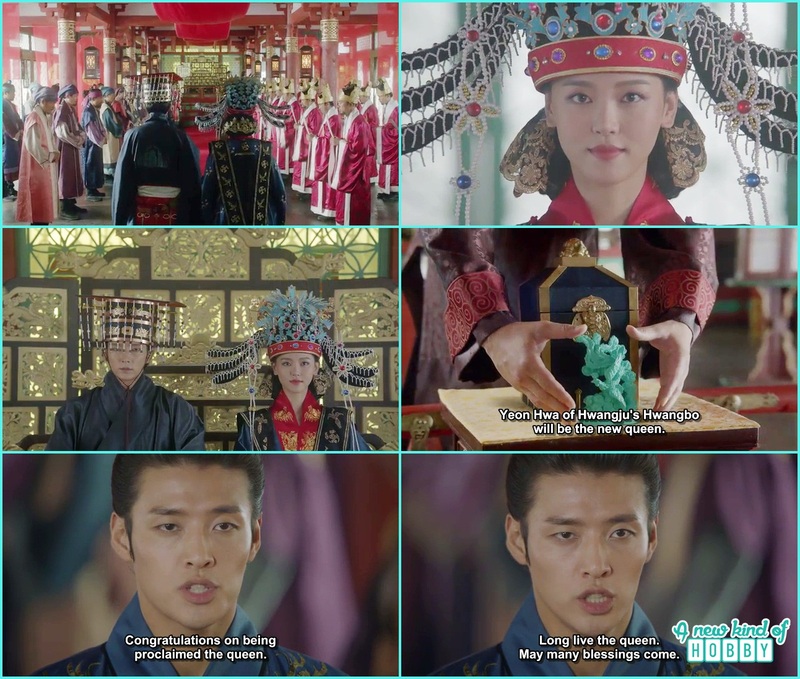 As she was his half sister and share the same blood of King Taejo we could they get married. Customs in Goreyo sure were complicated as it doesn't matter who you marry the matter you have to marry the one with lot of power. King Wang So had to do the same. 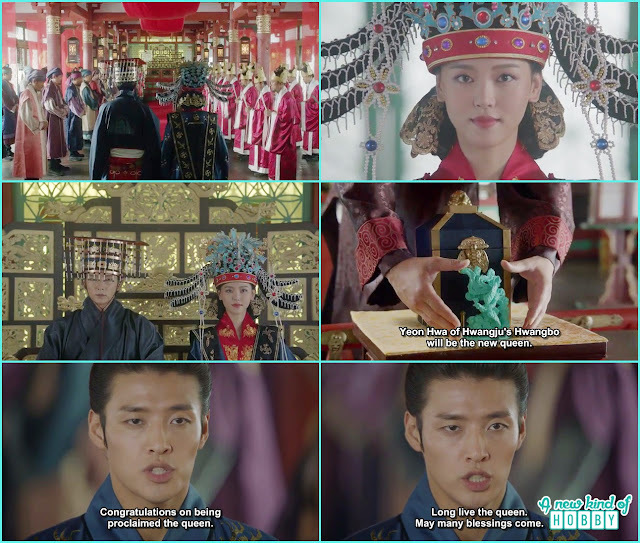 It was relief that he never will like Yeon Hwa but to protect the throne he went through this wedding. 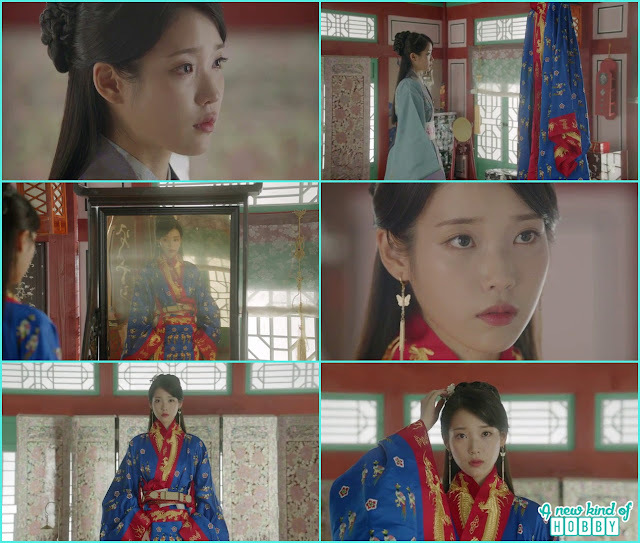 We feel pity for poor Hae Soo and her twisted faith. She was being cast aside by Hwangbo's as once she also belonged to them but things surely their values as the time change. She was alone in her room seeing her wedding dress and thinking of her to wear it although it was just an imagination but Hae Soo was looking much more prettier and innocent then Yeon Hwa.